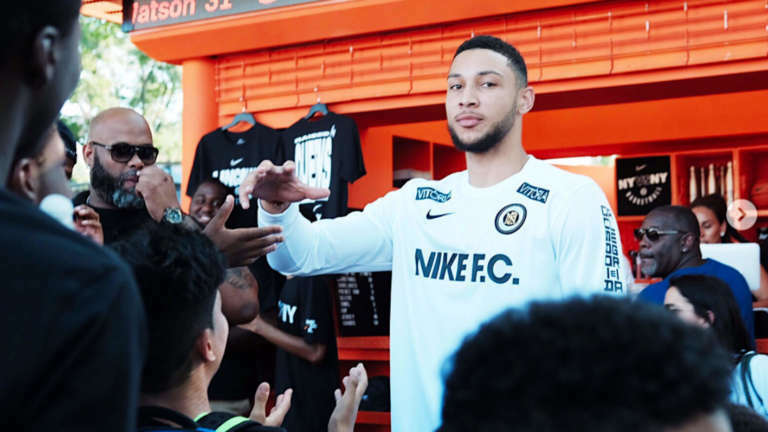 The greatest streetball show on earth. There’s no place in the world quite like a NYC park on a summer afternoon. 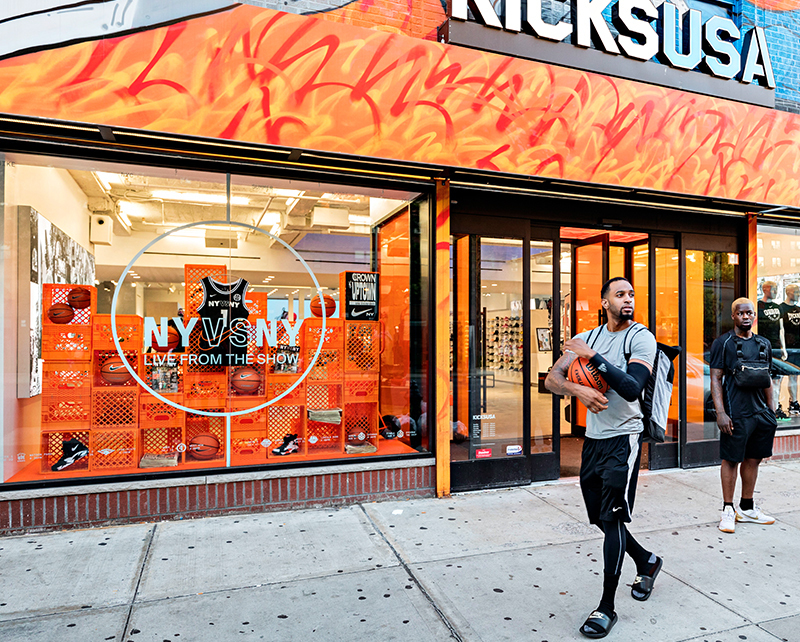 It transforms from a city park into a playground and battlefield for the best basketball players in the city. 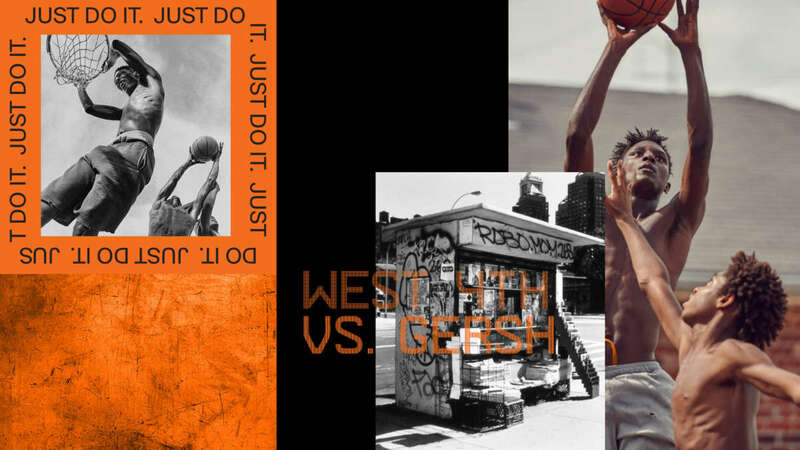 New York City has long been the mecca of basketball culture. 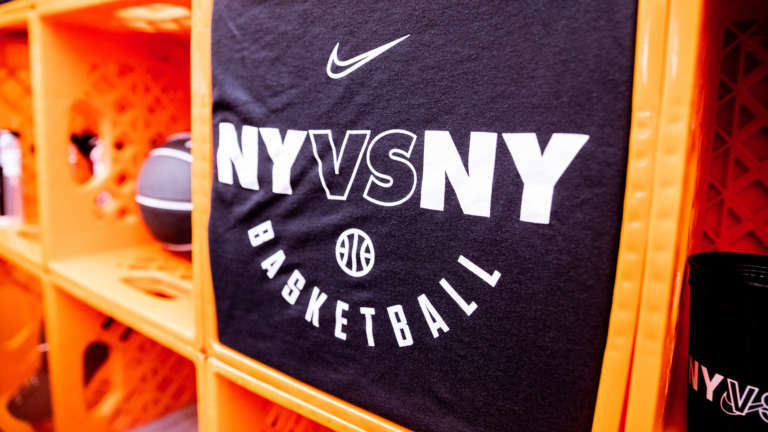 With parks across the 5 boroughs playing host to some of the most intense basketball the game has, Nike created NY vs NY in 2017 to put a spotlight on the best hoop talent the tri-state area has to offer. 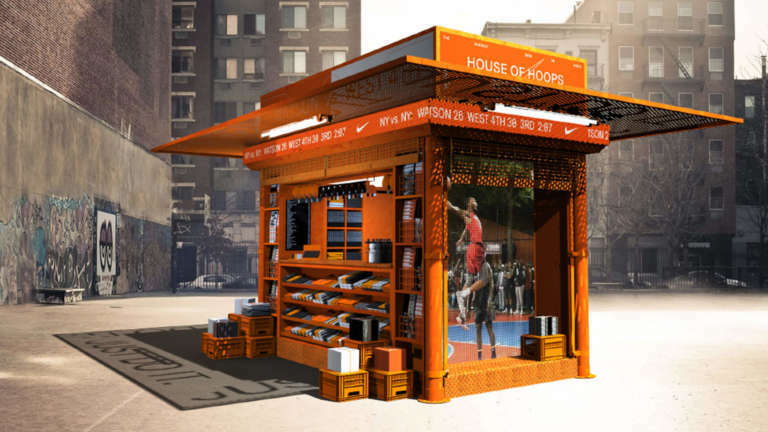 Nike tapped Cinco Design to connect the brand to the event and tie it back to select neighborhood retailers. 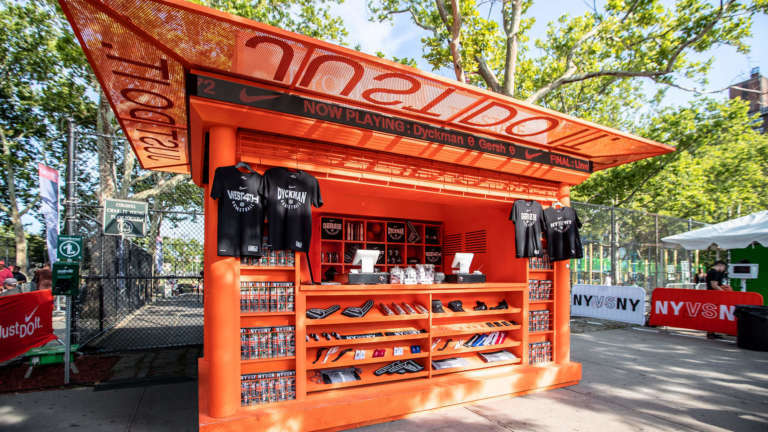 We designed and built a mobile shopping experience that leveraged core Nike retail partners at the game’s location. 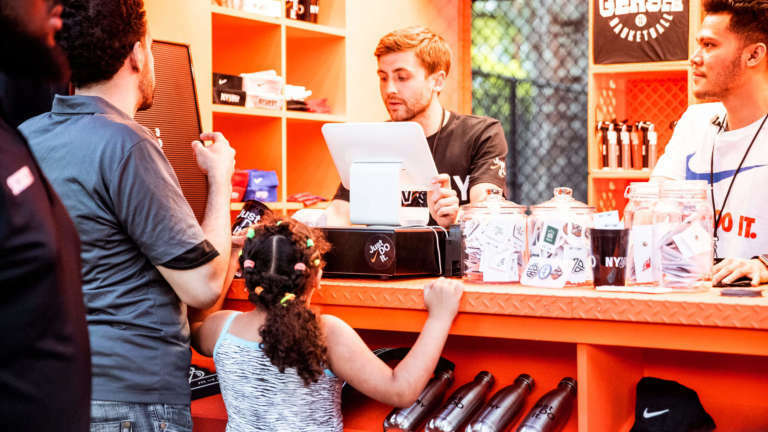 As the games moved from location to location across NYC, the mobile shopping experience was there. 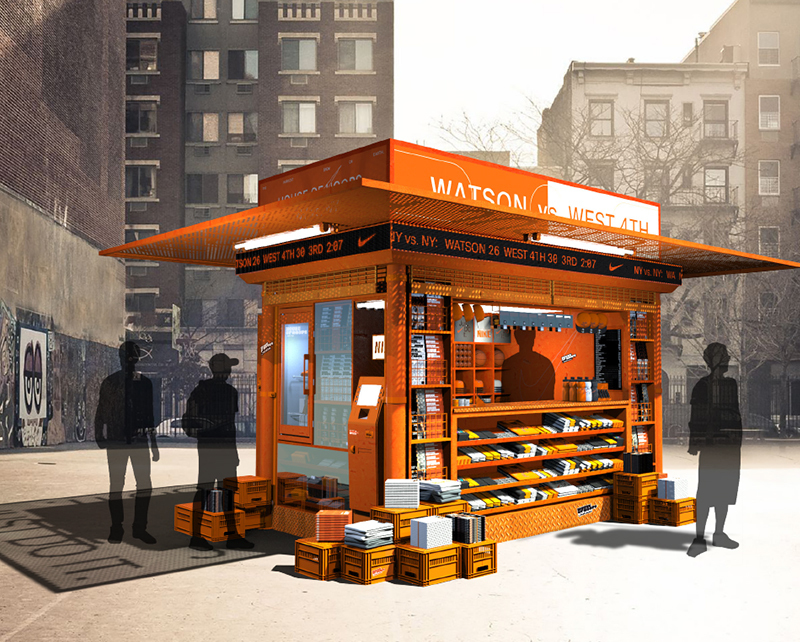 Streetlights go on, the crowd gathers, the whistle blows, and the newsstand is open for business. 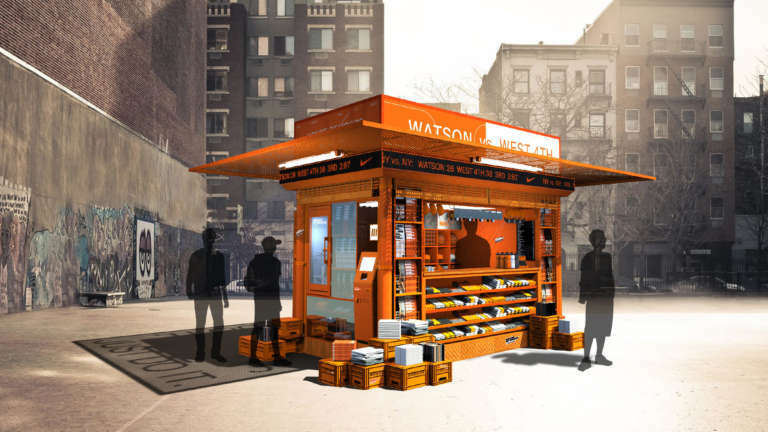 We started by defining a design system that could be leveraged across the newsstand activation as well as within select retail doors. 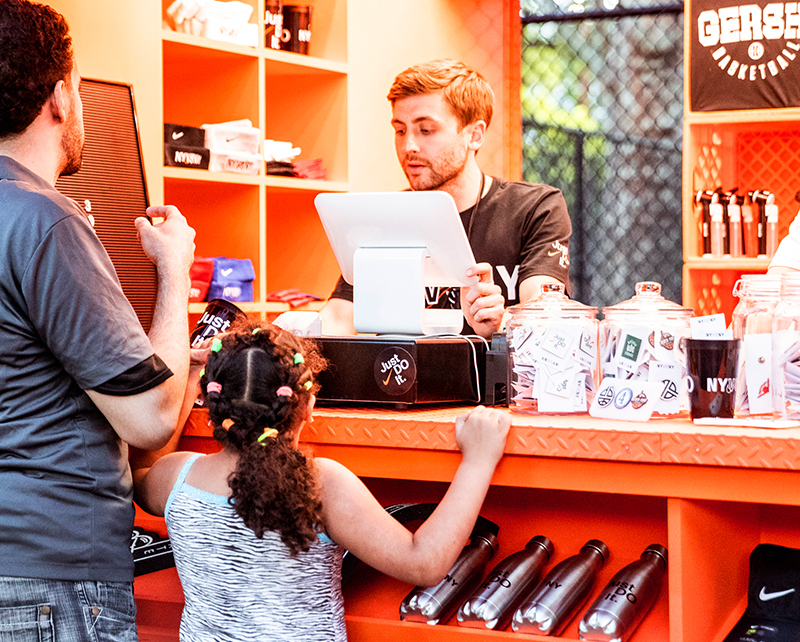 New Yorkers demand truth and authenticity, and Cinco responded, fueled by our love for the game and the city. The result was a landmark of the NY vs NY tournament. 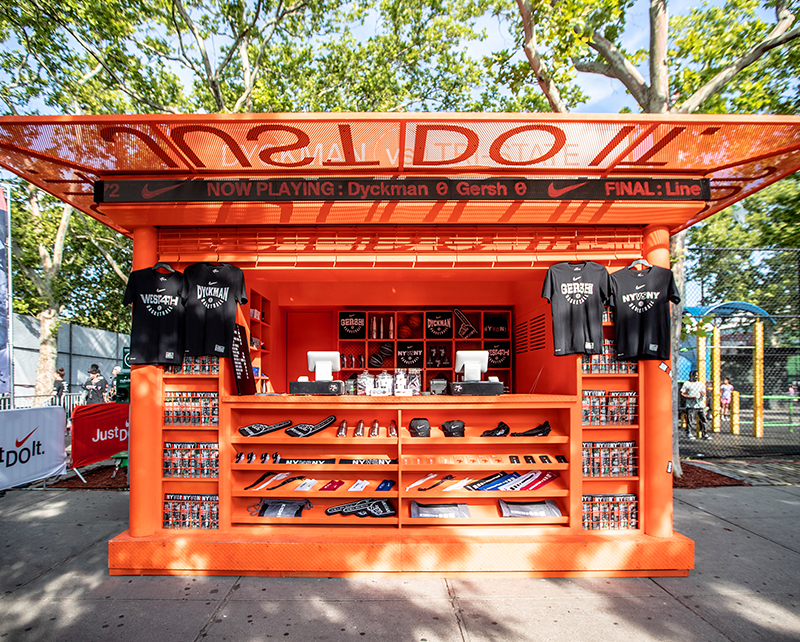 Whenever a crucial game was set for tip-off, the iconic newsstand was there broadcasting. 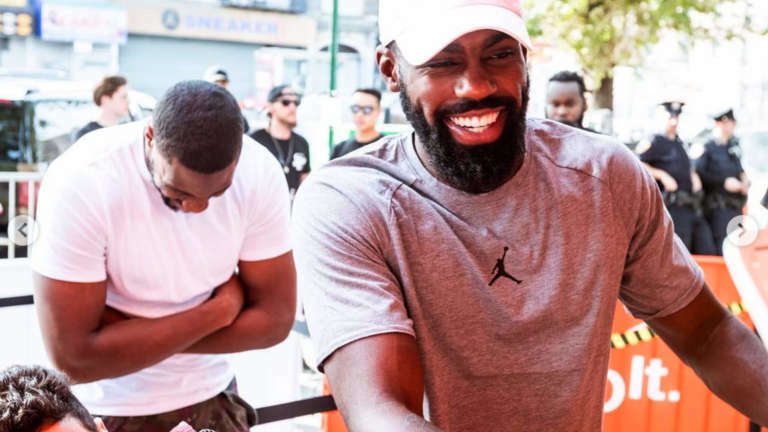 From NBA players, NYC streetball legends, to local folks that rolled through, the newsstand served them all. 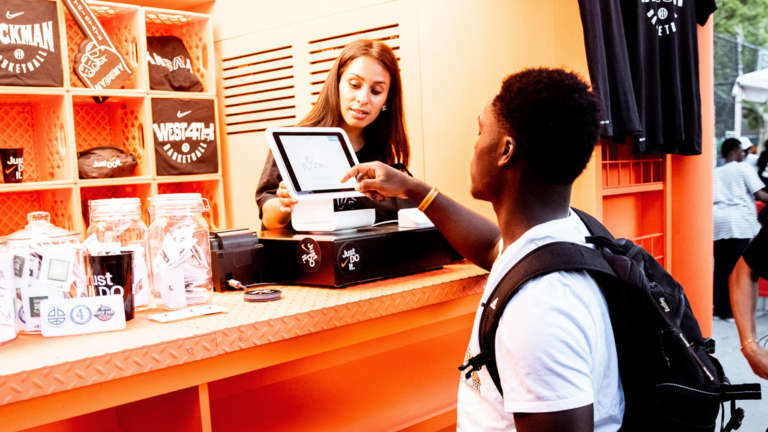 From building materials to signage to promotional products, our system delivered a fresh take on a classic institution with each individual element working towards creating a collaborative consumer experience that blended sport & community. 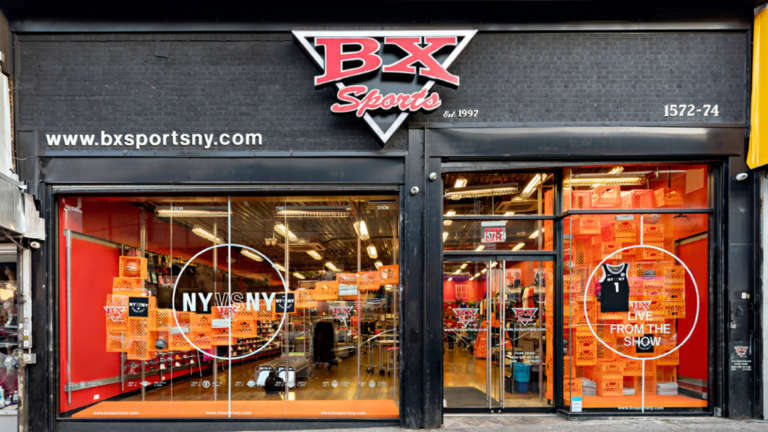 Our goal was to create an experience authentic to NYC and street basketball culture through a modern sport lens. 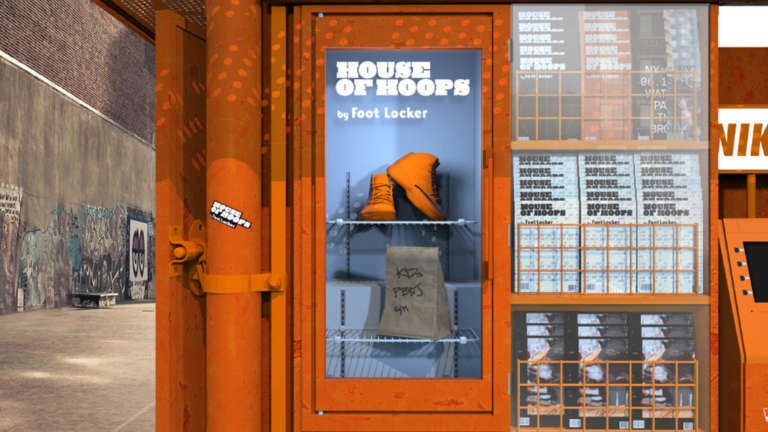 The juxtaposition of raw and recognizable materials with unexpected applications created a tone and texture that allowed for the flexibility needed to stretch across both the tournament and retail. 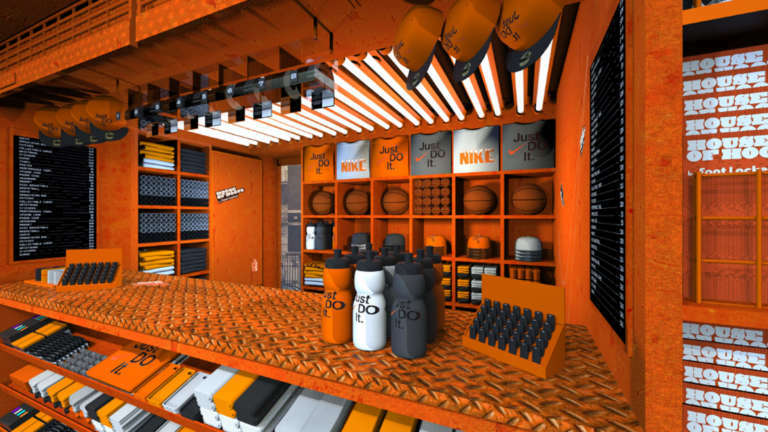 Perforated metal, authentic milk crates, street materials and powder coated steel paired with Nike orange helped achieve our vision of creating an accessible yet eye-catching experience for players and fans alike. 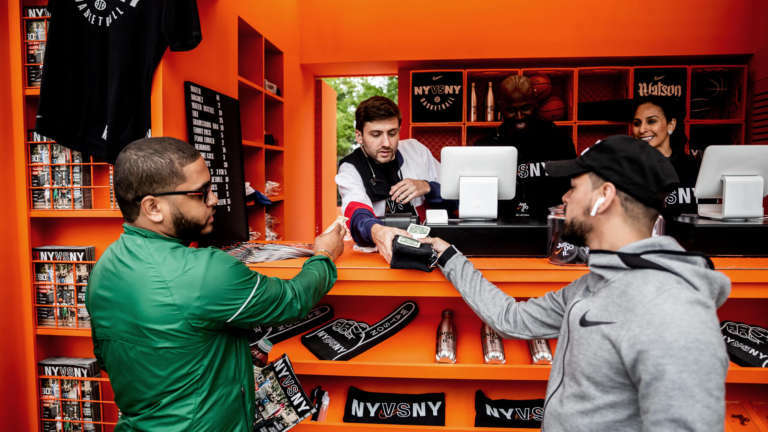 Cinco’s NY vs NY design system extended beyond mobile activation and translated the experience to key retail doors – critical to achieving Nike’s city-wide narrative. 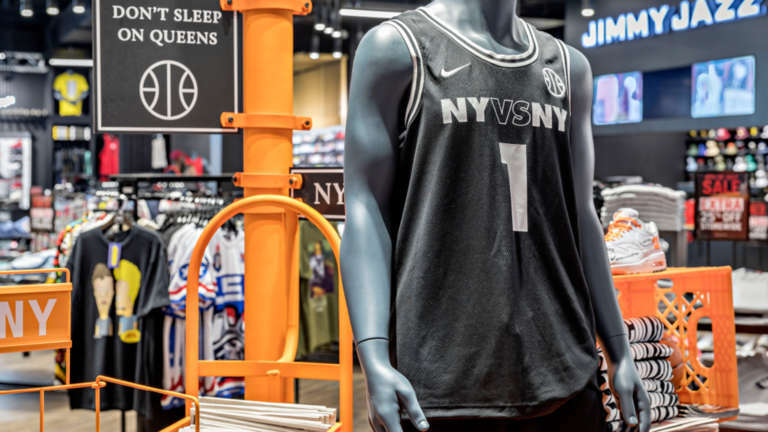 Our task was to take the excitement and energy around the NY vs NY tournament and translate it to key neighborhood retailers. 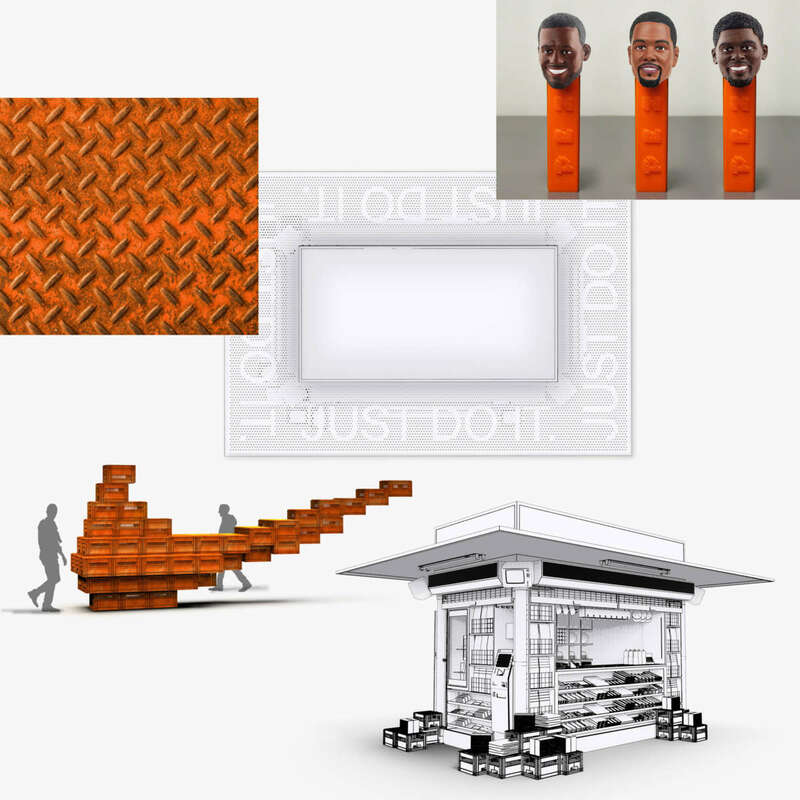 These selected partners were chosen for their cultural currency and proximity to the events. 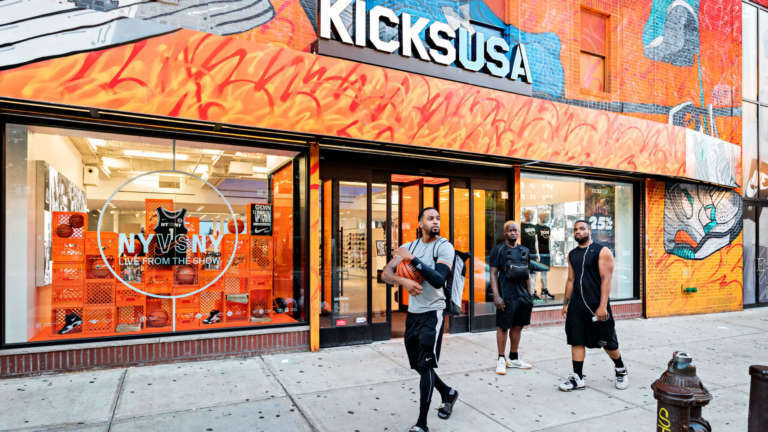 These were not the standard locations for in-store activations, meaning special considerations had to be worked through to ensure mutual success. 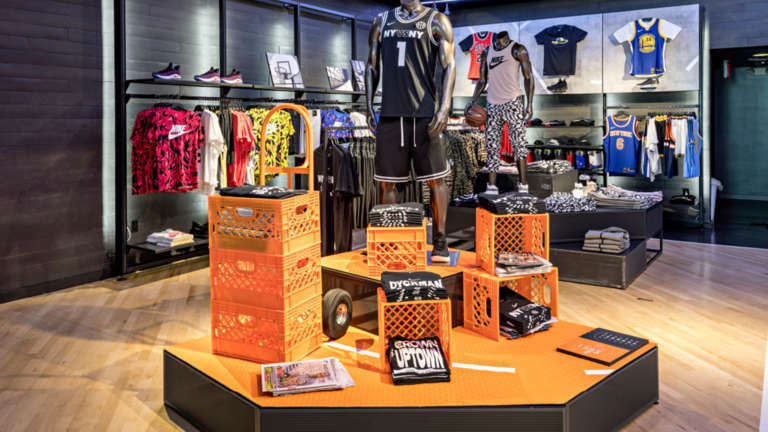 Our flexible and modular design systems enabled us to flex the in-store experiences to fit each store's unique floor plan. 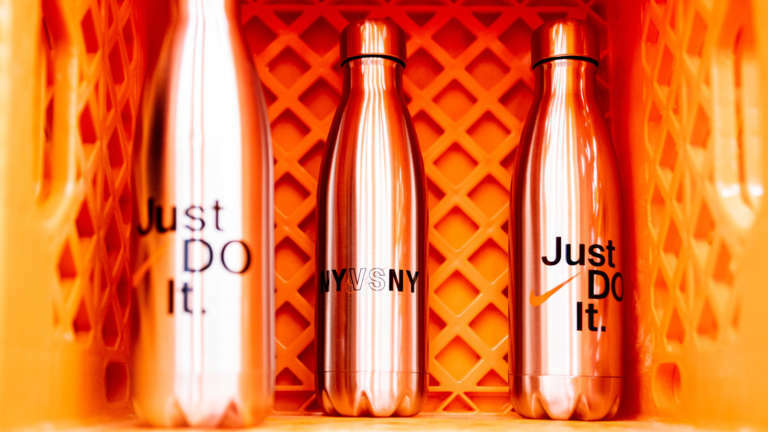 NY vs NY is more than a summer basketball tournament. 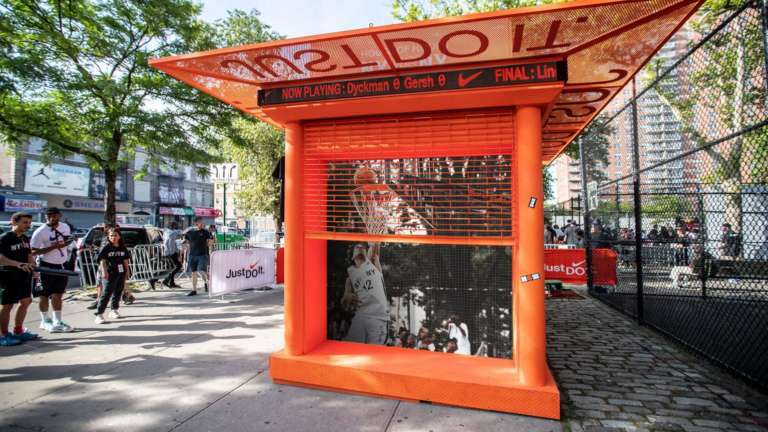 Nike has created a platform for NYC basketball that gives exposure and opportunity to the best players in the 5 boroughs. Players know this is the best shot they have a turning heads and creating momentum for their career. They put it all out on the court, and it's an “only in NYC” spectacle. Events and projects like this are only possible through different teams coming together to work towards a shared vision. 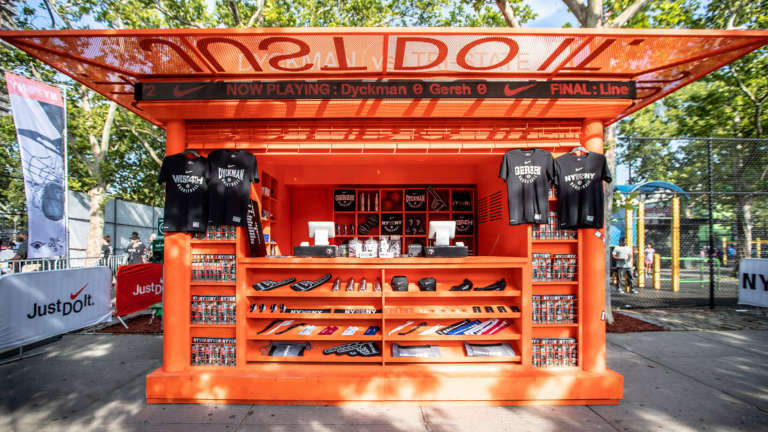 Cinco is fortunate to have an incredible partner and client in Nike’s NYC team, and killer build partner at Bednark. Teamwork makes the dream work.